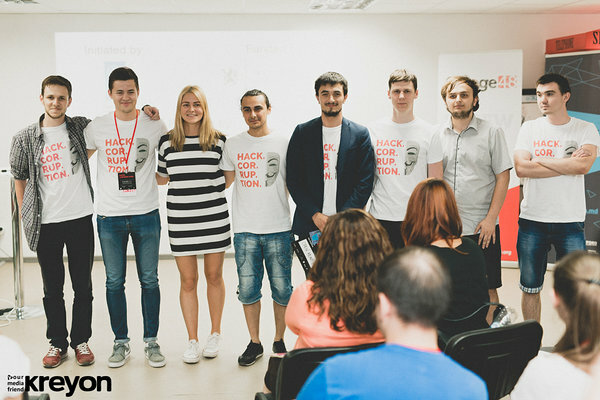 This weekend the tech community of Moldova came together with the public sector specialists to work together for the same goal - hacking corruption. 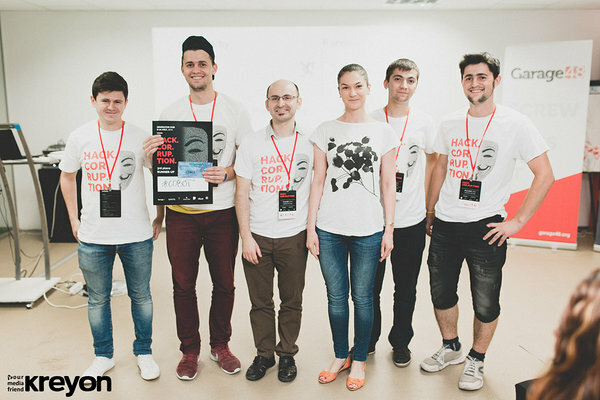 The Garage48 Chisinau Hack.Corruption event was initiated by the UNDP Moldova and funded by the Norwegian Ministry of Foreign Affairs as an attempt to get the public to stand up against the corruption in Moldova. 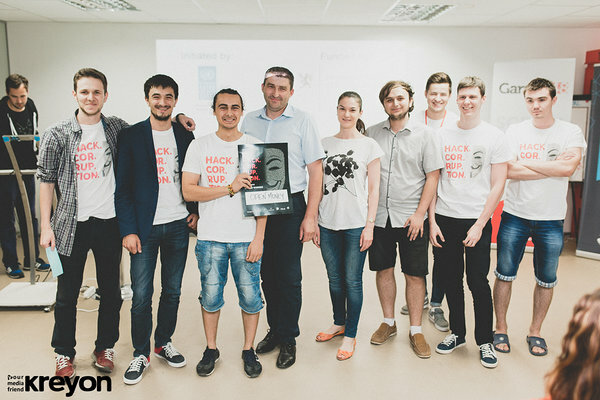 The hackathon brought together software developers, designers, marketers and anti-corruption specialists to show how technology can allow a more transparent use of public funds and help citizens monitor public life and report the abuse of power. After a long weekend of brainstorming ideas, intense work, making their message heard and presenting their prototypes the teams still have a long way to go to get their projects up and running and usable for the public. 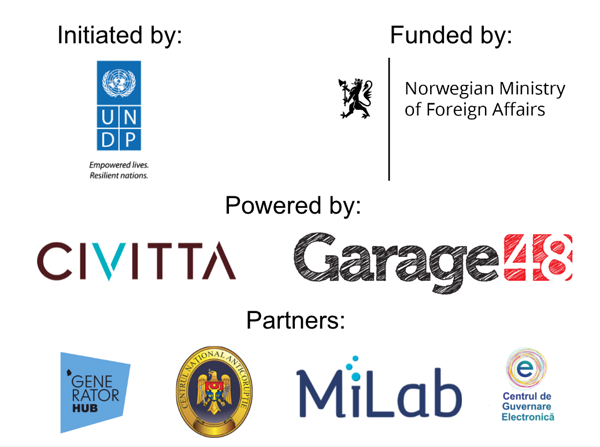 Three of the best teams have the opportunity to get a $10 000 grant with 6 months of mentoring to develop their idea further and actually launch. What they have now are seeds that will hopefully grow into real products and will help the community to grow stronger and come together for a shared goal - fight corruption. The event was organised together with CIVITTA with partners from the National Anticorruption Centre, e-Government Centre Moldova and MiLab who all proved very professional and with great know-how in their field. 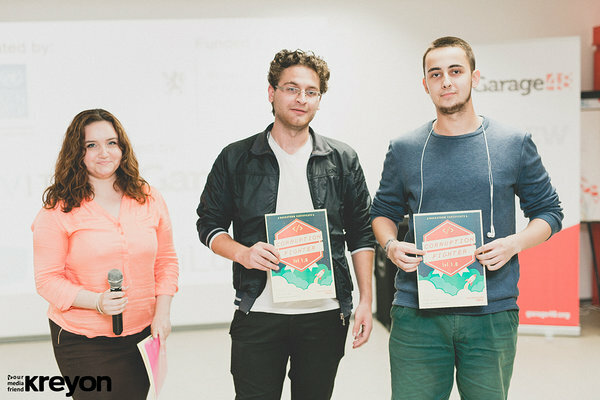 In addition, the comfy event space was provided by the first co-working space of Chisinau GeneratorHUB and also Granat - who was responsible of the visual side of the event - needs to be mentioned for their stellar work. Good knowledge and network of CIVITTA and the passionate work of their country manager Ecaterina Silova and her team brought together 60+ participants on Friday all eager to pitch their idea, gather a team around it and get to work. There was 19 ideas presented and 11 of them were submitted to the competition. 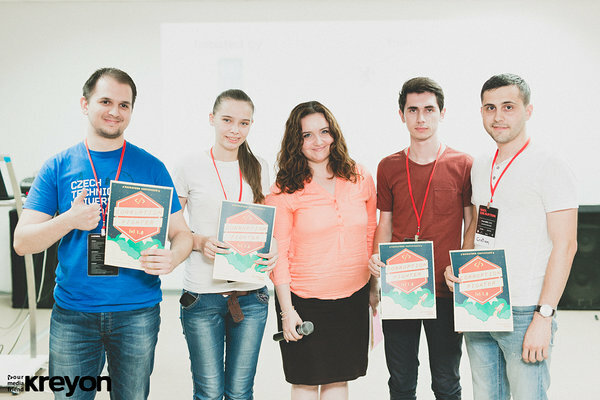 The teams had support throughout the weekend from a team of specialist mentors from both Estonia and Moldova: Anca Albu (social innovation expert with 6+ years of experience in building startup ecosystems all over the world), Sergiu Matei (a successful entrepreneur sharing his time between the US and Moldova, also being actively involved in the development of Moldovian startup ecosystem), Kai Isand (the project lead at Garage48 building networks and helping startup communities in the region, also teaching individual teams to deliver their message be it through online mediums or in person), Jaanus Sakkis (a long time design mentor in Garage48, also an accomplished creative director with substantial experience in UX/UI design), Martin Verrev (with over a decade of experience in engineering and as a Garage48 mentor he has participated in over 30 hackathons, he is also passionate about social projects) and Krists Avots (has been running and mentoring hackathon and bootcamp events for the past 6 years, as a daily job he is driving tech product development in the Latvian Lattelecom). The results were 10 great teams on stage presenting their working prototypes - from a platform to gather data about open tenders to a widget that ables to leave meaningful video comments to news stories. Although different in principle, all of the ideas had one thing in common - they are a platform for the public to use their collective voice and stand up against corruption. Open Money is an application that will aggregate the open data from different sources into a more readable format and show it in the form of a statistic of top companies and main beneficiaries of governmental acquisition contracts. Start Moldova is a website that will be a one-stop-shop for current and prospective business people to find answers to difficult bureaucratic questions in Moldova. Government agencies often create intentionally obscure processes to slow down business people and facilitate a system where *you* ask to bribe them. This is only possible when you deal with unclear rules in back room meeting. Through our community portal entrepreneurs and business people will be able to ask and answer questions, share experience and create tutorials. Government agencies will be invited to directly respond to questions. The system will be managed by FSEA (www.fsea.md) which will sustain and grow the project through the Alliance membership, other business, and partners. FSEA’s motto is that business is Stronger Together and through this system we will bind our community closer for our common interest. #CoBoT is a a web apllication for the National Anti-Corruption Center which uses NLP to train a bot and solve citizen's issues related to corruption in real time. By analyzing the user's story it can categorize the type of the issue the user is dealing with: passive corruption, crimes which are not subject to NACC, or not crimes at all. CoBoT can also determine the sector where a possible corruption is taking place: Law enforcement, Education, Government and provides the user non-binding advice based on the analysis. Extention of MPay paying system by creating a new interface to make budget transactions transparent in the education system. The “BONus” (stands for bonus to a“bon fiscal”) application will motivate consumers to request receipts by rewarding them for doing it through a gamification campaign. The system simulates a lottery game where the tickets are replaced with ordinary receipts offered by sellers. Also, the solution will contain mechanisms designed to look for tax fraud premises in the receipt database. 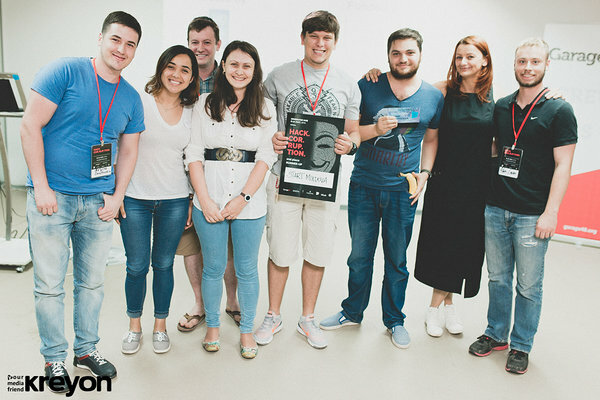 A special mention goes to all the teams that built and presented their prototype. Well done - you are all winners! Platform to address corruption, report and prevent corruption, raise awareness. Crime Stoppers Moldova receives tips through a secure tip line (hot/short number) or through a secure web connection manned 24/7. Anonymous information is directly transmitted through a secure channel to the Internal Protection and Anticorruption Service of the Ministry of Internal Affairs of Moldova. Information will be receive by SMS, MMS, phone call, e-mail, mail and app. X42 empowers public opinion by fighting corruption with mobile video. Public web resource where the people can share information about bribes. The purpose of this project is to make all this information public, and everyone can see bribe information of companies on the map. Based on this data users can play a game/quest. And to conclude, Garage48 thanks all the supporters, sponsors, organisers and - most of all - the participants for making this weekend as great as it was! Hope to see you at next events!